The Spring Summer 2019 collection is celebrating the energetic city life, and will be available in stores and online on January 25th. With pieces in natural textiles and rich detailing, the wearer will feel confident and chic throughout the whole day. 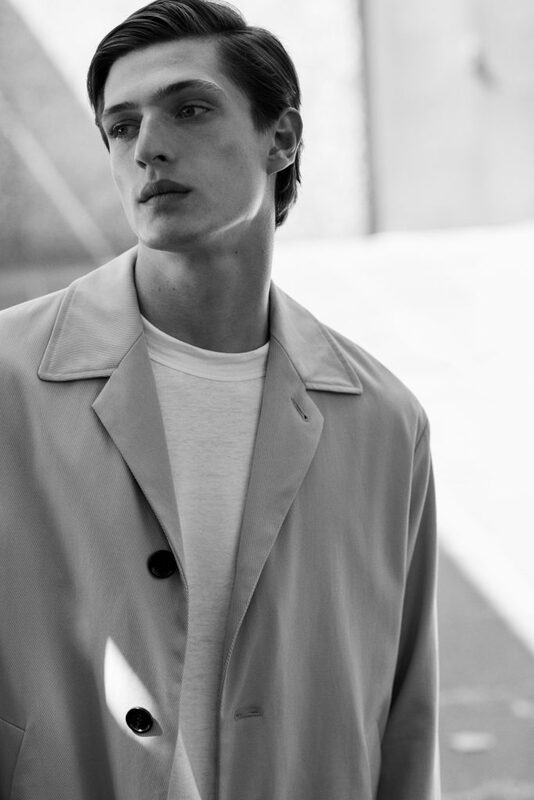 Filippa K’s Spring Summer 2019 collection effortlessly embraces the transitions of everyday life in a wardrobe that simplifies movement and the moments that punctuate it. 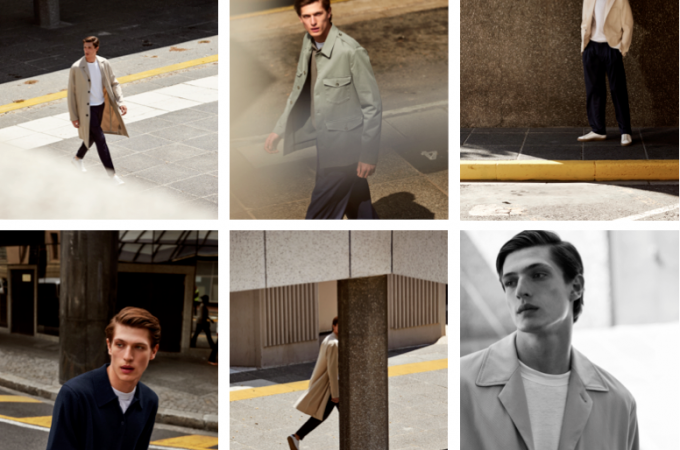 A sophisticated yet comfortable wardrobe for the modern man and woman, the range breathes fresh air into a classic minimal aesthetic for clothes that allow the wearer to focus on the important aspects of life with ease. 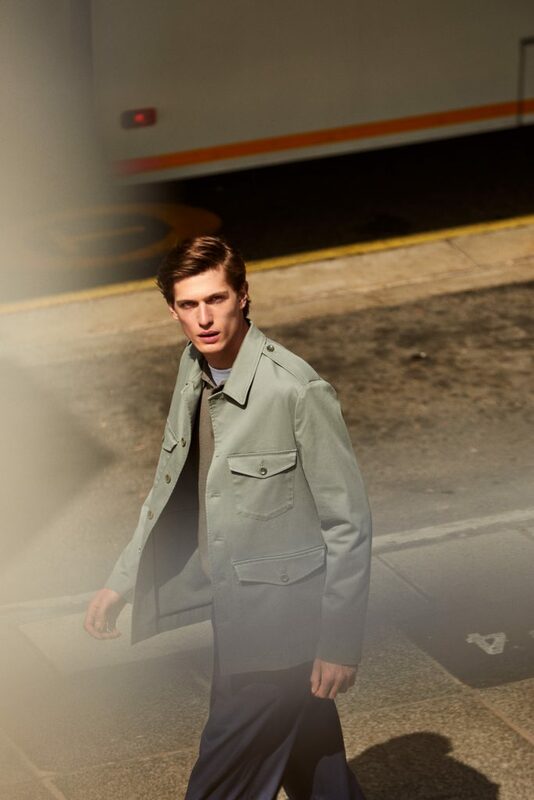 Shot by photographer Johan Sandberg, the campaign captures models Bella Thomas and Edoardo Sebastianelli in the fast pace of life on bright city streets – the energy of starting each day, and stopping for a glimpse of stillness within the tempo of urban living. Styled by Isabelle Thiry, the clothes thrive in these transitions, leaving the wearer to go about a busy day feeling confident and chic. The defining feature of the collection is the silhouette. With a subtle nod to the well- dressed icons of the 30’s, waists are higher, and shapes cut wider. 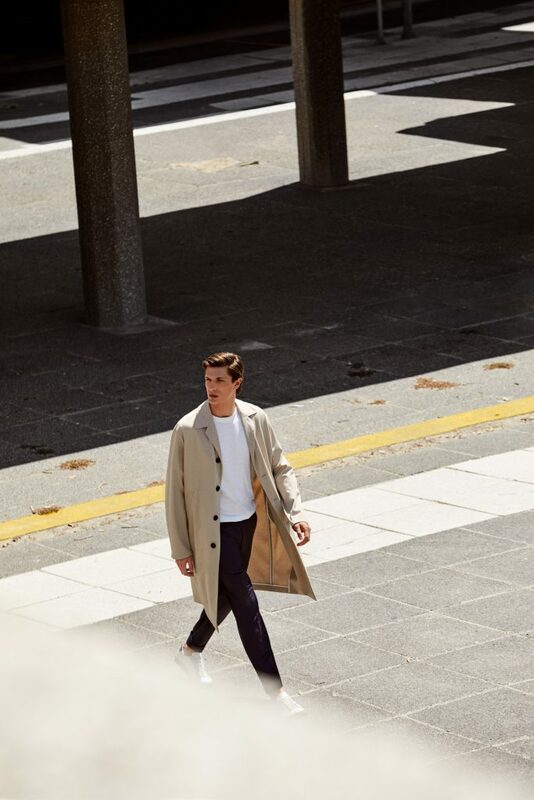 It adds a vintage vibe to clean styles, reinforced by styling details: a soft scarf loosely tied around the neck, a bowling-cut shirt tucked into front pleated trousers with a distinct double-breasted blazer. A new workwear jacket is made from a sharp chino cotton in dark navy and olive green. 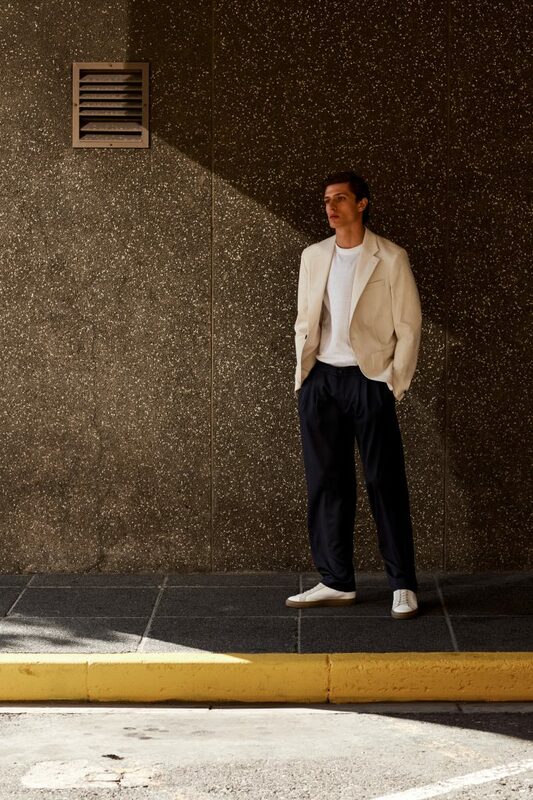 Worn with matching trousers or shorts, the styles create a modern everyday uniform that easily works together or as streetwear separates. 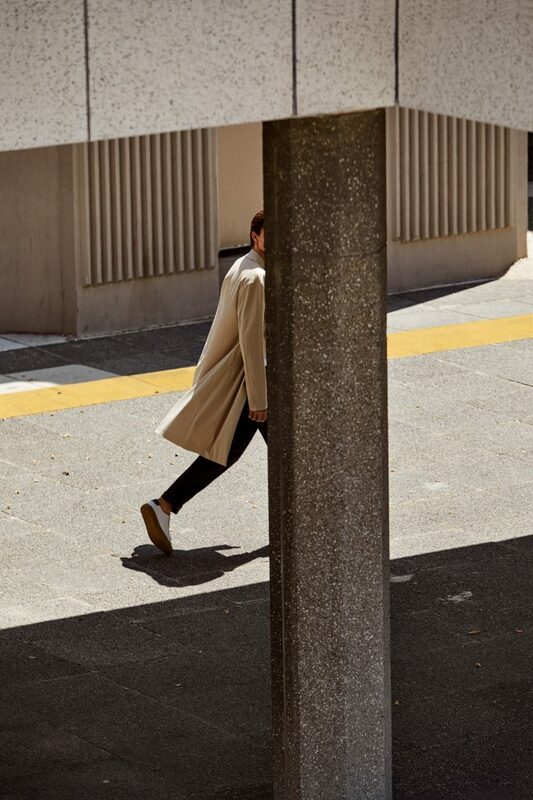 Signature outerwear includes a trench coat meets classic pilot’s jacket with epaulettes and half yoke flap, and a new iteration of a tailored coat is now made in sporty, minimalistic nylon. 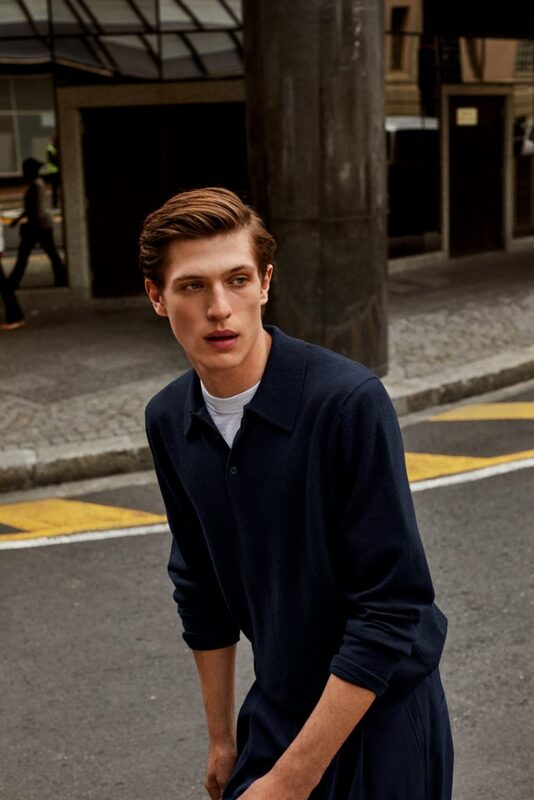 This collection is a defining example of simplicity as the purest form of luxury, and provides effortless, stress-free pieces for a long-lasting wardrobe.